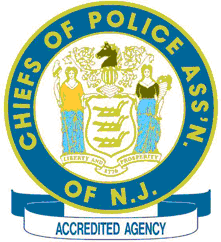 The Mansfield Township Police Department is accredited by the New Jersey State Association of Chiefs of Police, Law Enforcement Accreditation Commission. A stronger defense against lawsuits and citizen complaints – Accredited agencies are better able to successfully defend themselves against lawsuits, tort claims, and citizen complaints. Many accredited agencies report a decline in legal action against them. Greater accountability within the agency – Accreditation standards provide the Chief of Police with a proven management system of written directives, effective training, clearly defined lines of authority, and routine processes that support decision making and resource allocation. Support from Government Officials – Accreditation provides objective evidence of an agency’s commitment to excellence in leadership, resource management, and service delivery. Thus, government officials are more confident in the agency’s ability to operate efficiently and meet community needs and expectations. Increased Community Advocacy – Accreditation embodies the precepts of community oriented policing. It creates a forum in which police and citizens work together to prevent and control crime. This partnership helps citizens understand the challenges confronting the law enforcement community and gives the law enforcement community a clear direction concerning community needs and expectations. Recognition for Excellence – Accreditation is a most coveted award that symbolizes professionalism, excellence, and competence. It requires written directives and training to inform employees about policies and practices; facilities and equipment to ensure employees’ safety; and processes to safeguard employees’ rights. Both the community and agency can take pride in their department, knowing that it represents the very best in policing.